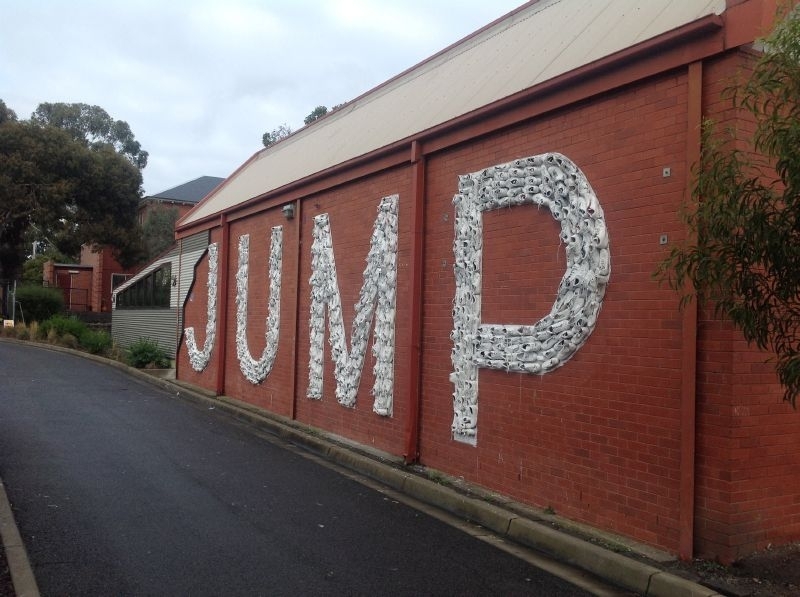 Northcote High School presents fabulous community art for all to see including the wonderful JUMP launched in 2015. 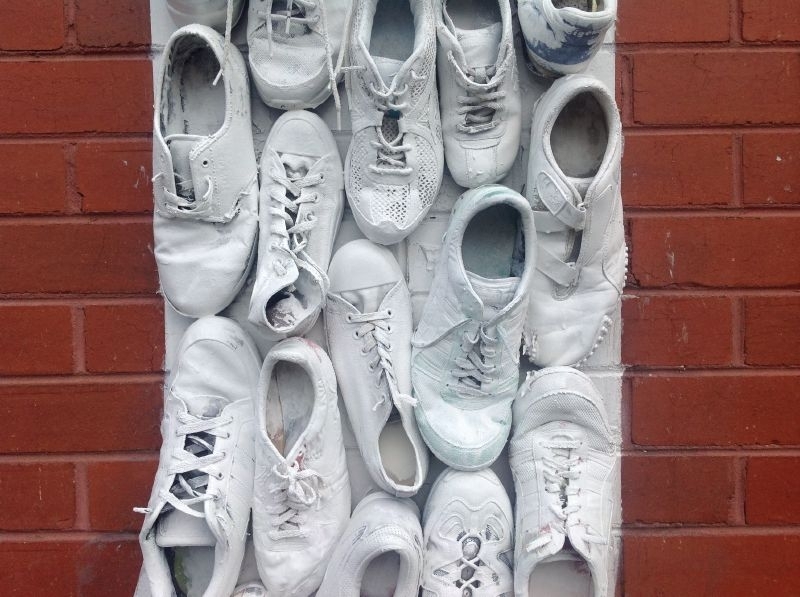 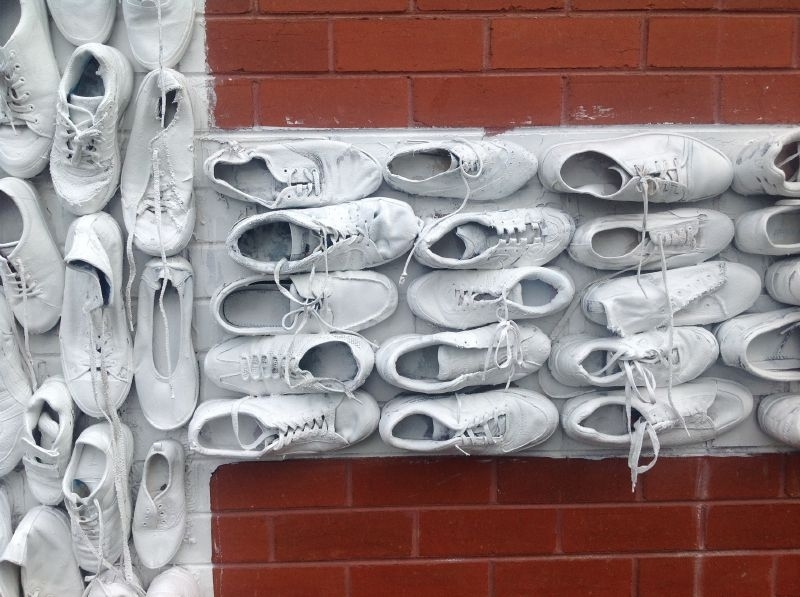 JUMP by Year 10 students is a public artwork that incorporates old gym shoes from past and present students. 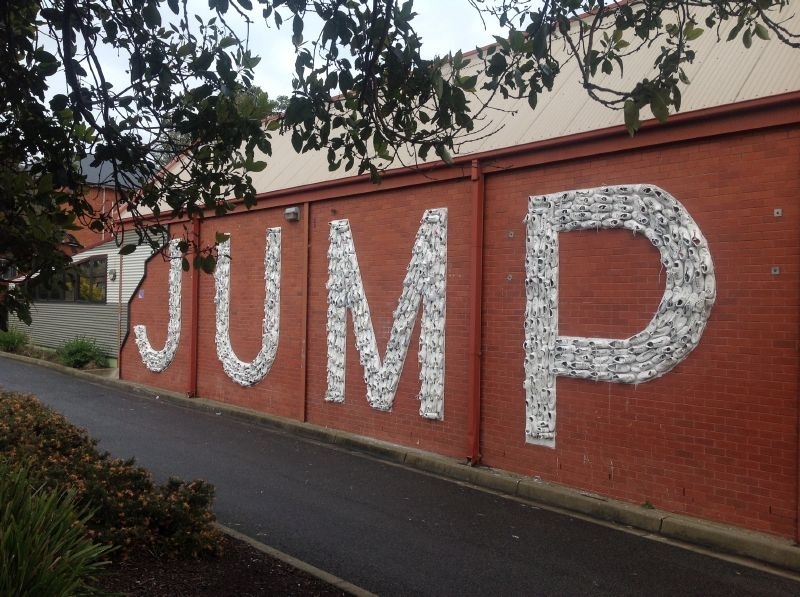 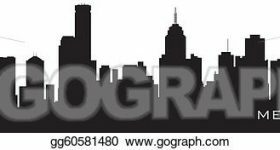 The work, which spells out JUMP in huge letters across a 4.5-metre by 20-metre backdrop, is attached to the east wall of the school gymnasium, which has a very “public” face fronting St Georges Road where thousands of commuters pass each day. 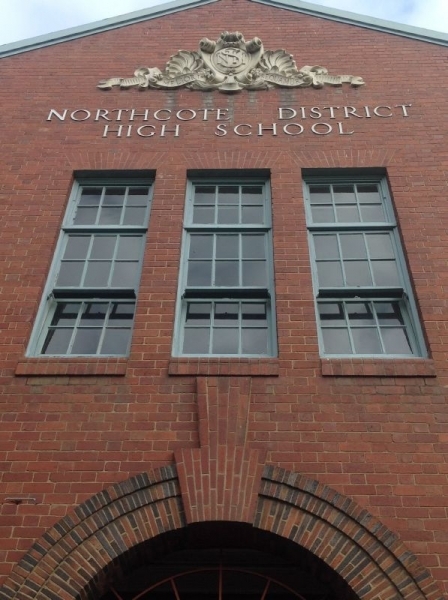 Finbarr Drinan, head of Northcote High’s Design Faculty, says this is the first year the school has offered a public art class elective for year 10s and it is anticipated each year’s class will produce a piece of public art to be incorporated into the school grounds. 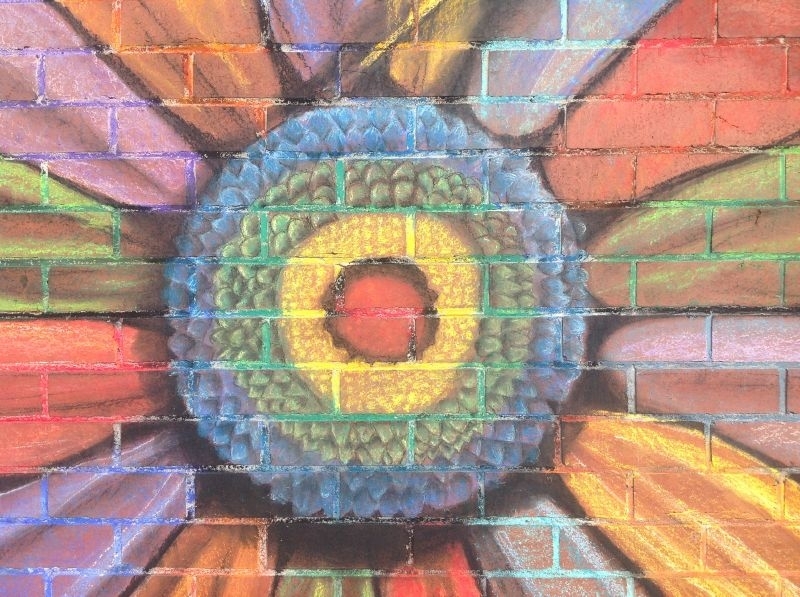 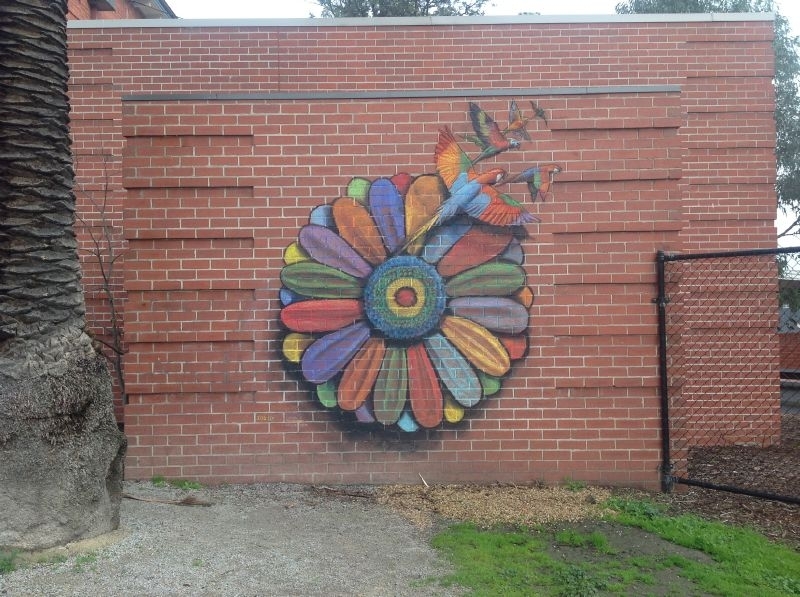 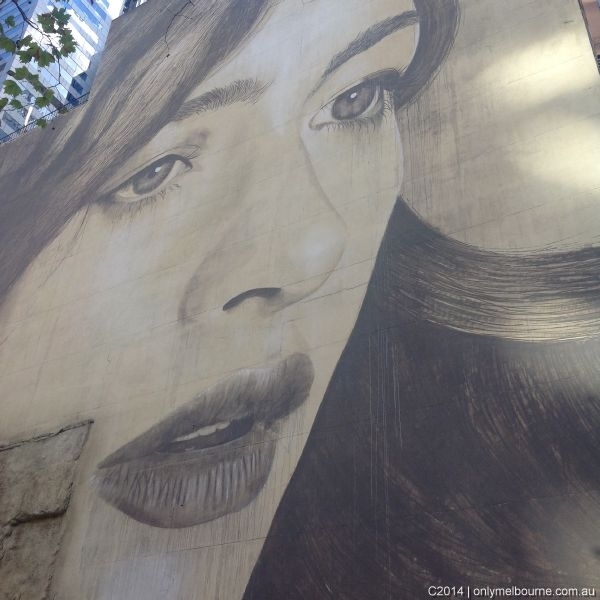 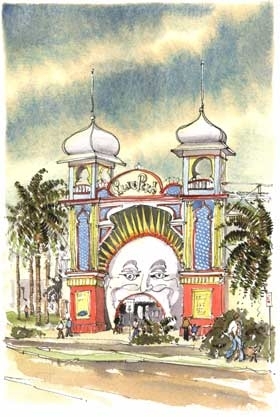 In the year-long elective, students also learn about the development of public art from cave murals through to 20th-century political art of the Soviet Union as well as Melbourne’s own street art. 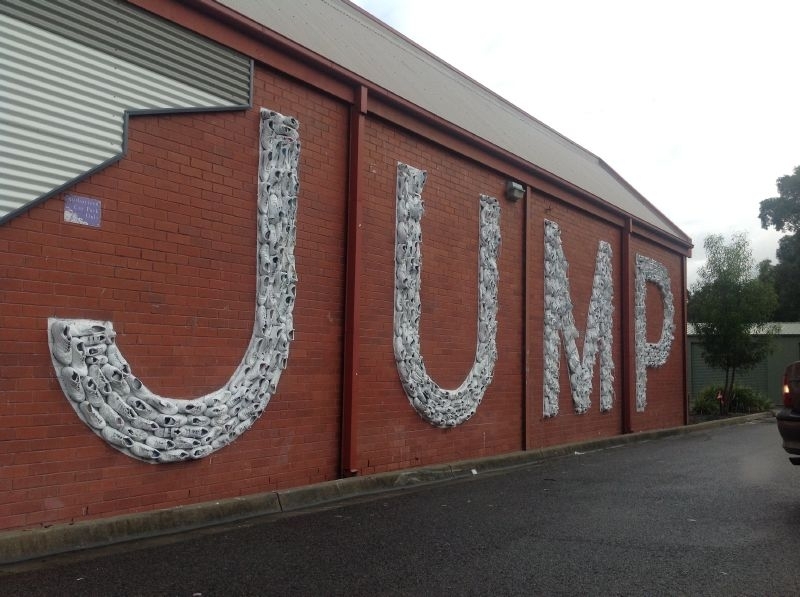 For JUMP, students developed an idea that was suitable for the site but was also visually appealing and achievable. 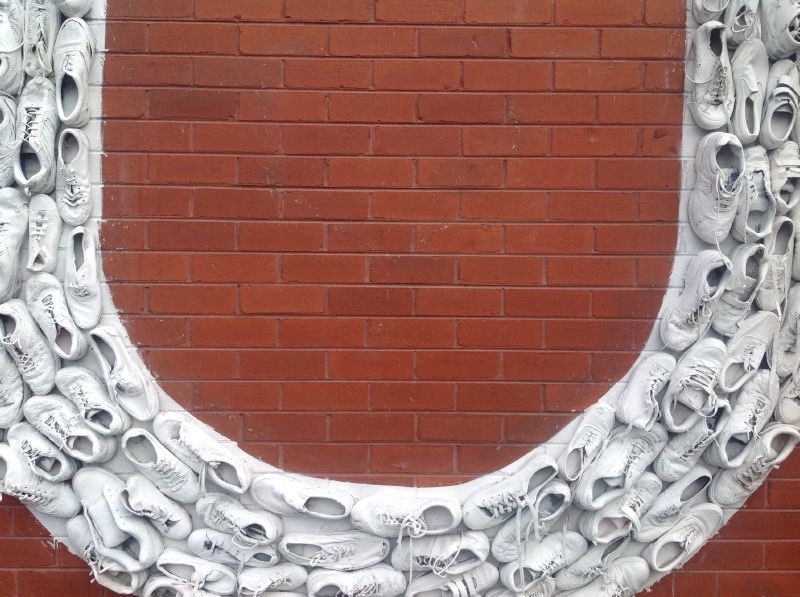 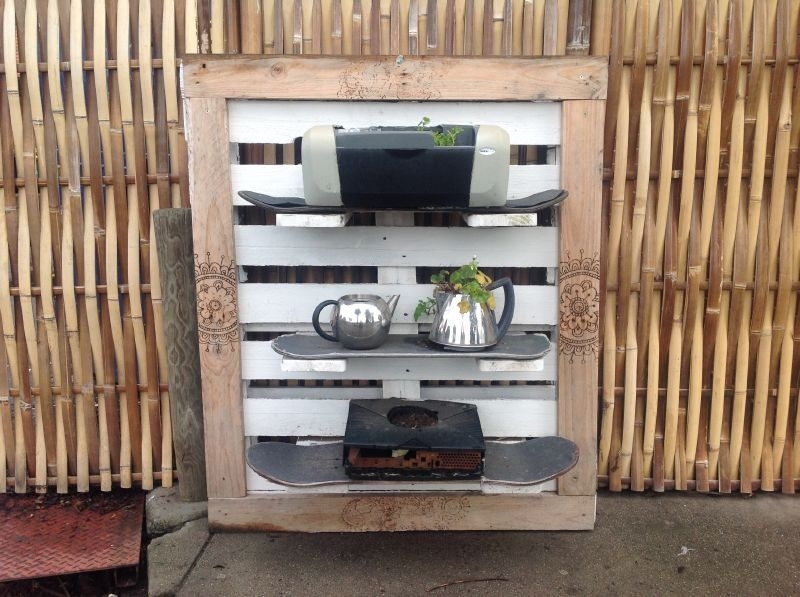 ‘‘ Our class thought this was a visually and symbolically effective medium to use,’’ Mr Drinan says. 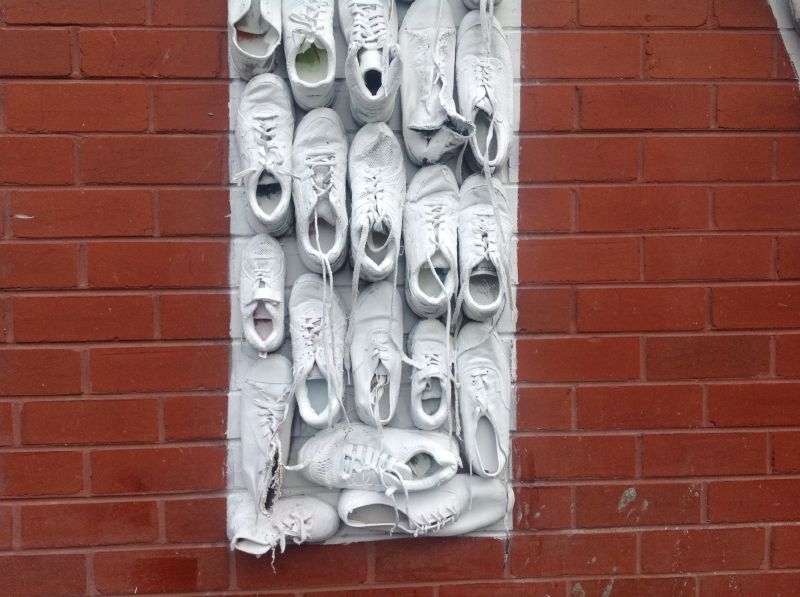 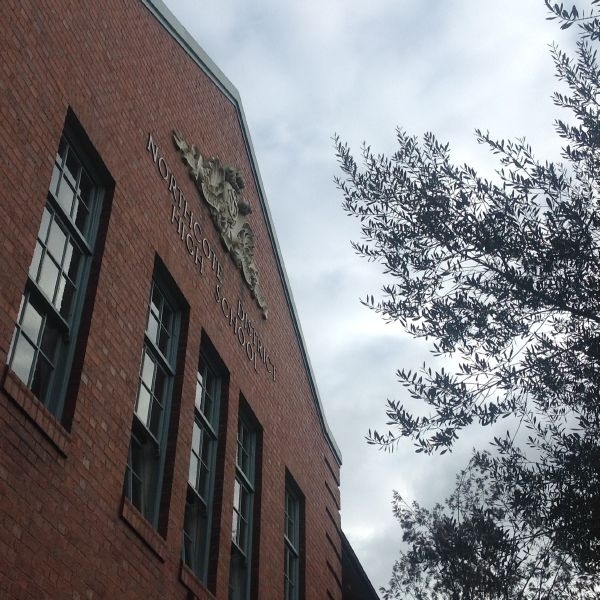 The school ran a ‘‘ sneaker drive’ ’ asking students and families to drop in old gym shoes and sneakers . 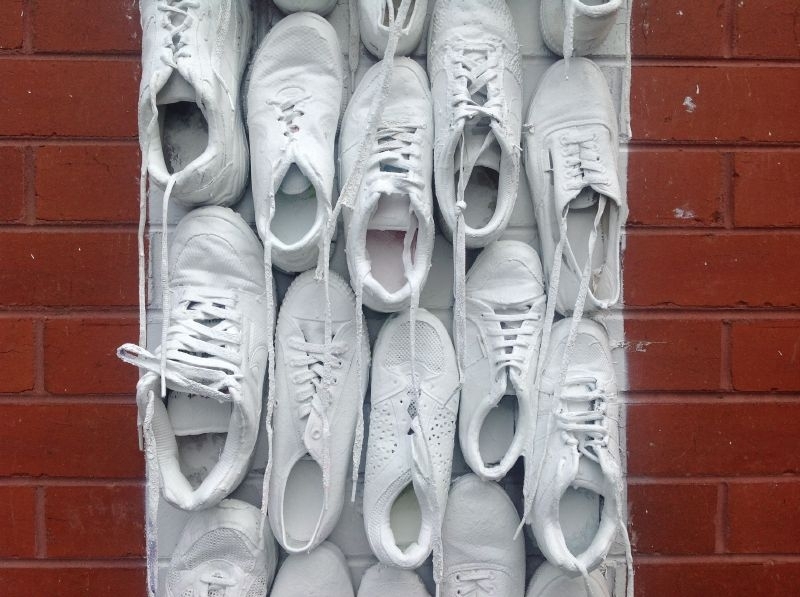 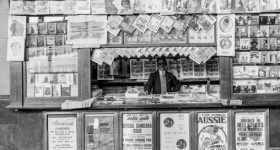 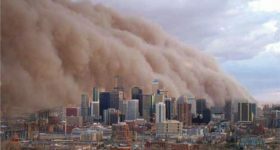 ‘‘ It was slow at first ; they’d come in in ones and twos and we’d run out every hour and see if there were more,’’ he says. 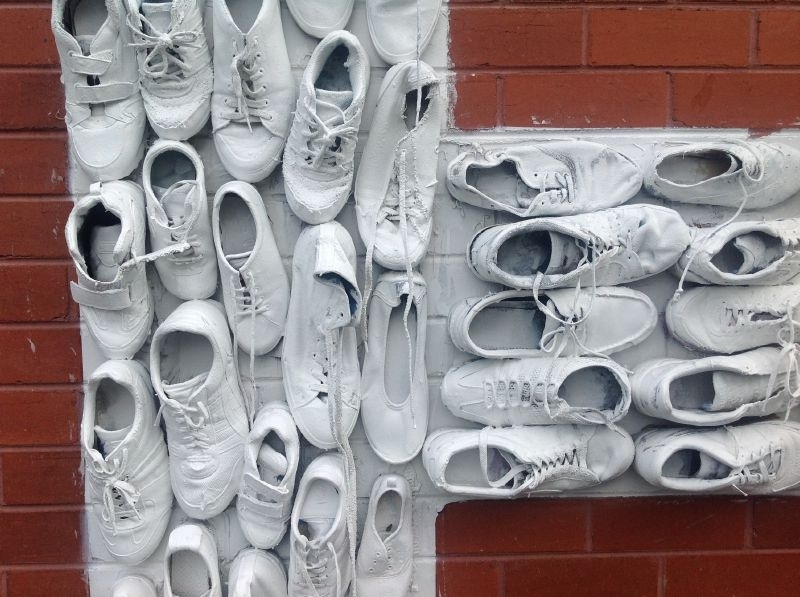 The year 10 students have spent the past four months fixing the shoes to the wall using Liquid Nails, then sealing and painting the artwork, which will be finished this week. 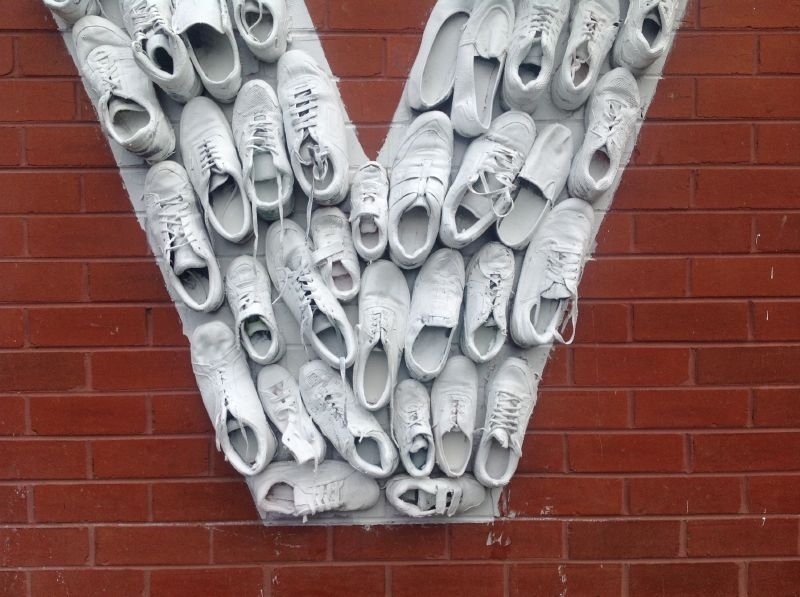 ‘‘ It now has a sculptural quality,’’ Mr Drinan says of the artwork, which is ‘‘ meant to celebrate, symbolise and make a statement about what happens around the school’s Phys Ed facilities’’ . 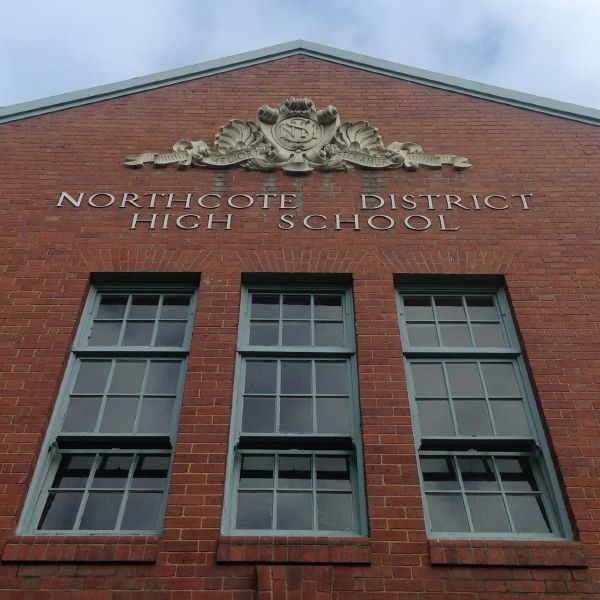 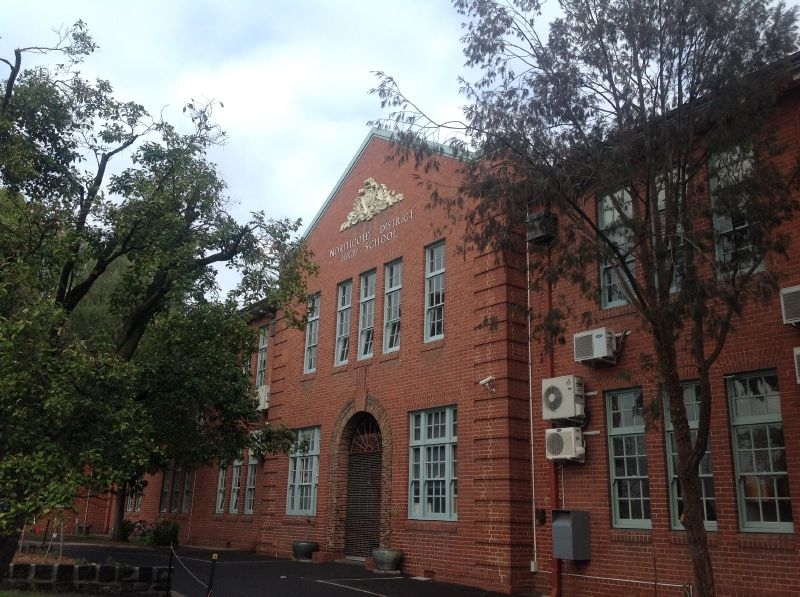 Northcote High School is at 19-25 St Georges Road, Northcote.